If there’s one thing about 1970’s low-budget movies, because of ownership and/or distribution, they have more than one name.. 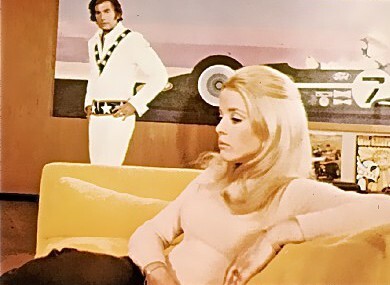 In this case, several including THE MAGICIAN, AUTOPSY, TERROR IN THE DARKNESS, or how we’ll list it, TAROT , from 1973, centering on Sue Lyon’s gold digging Angela, secretly teamed with her lover to kill blind old husband Arthur, played by FRENCH CONNECTION villain Fernando Rey, while playing those titular cards in-between planning and plotting, and eventually covering-up since the key card is Death. Filmed in Spain, TAROT has beautiful locations and is pure Neo Noir.